Something is clearly wrong. Whenever your business fixes an information security-related issue, it is never long before another one arises. This frustrating cycle continues until you’re forced to admit that ordinary troubleshooting isn’t getting to the heart of the problem. Start by calling Mobius. 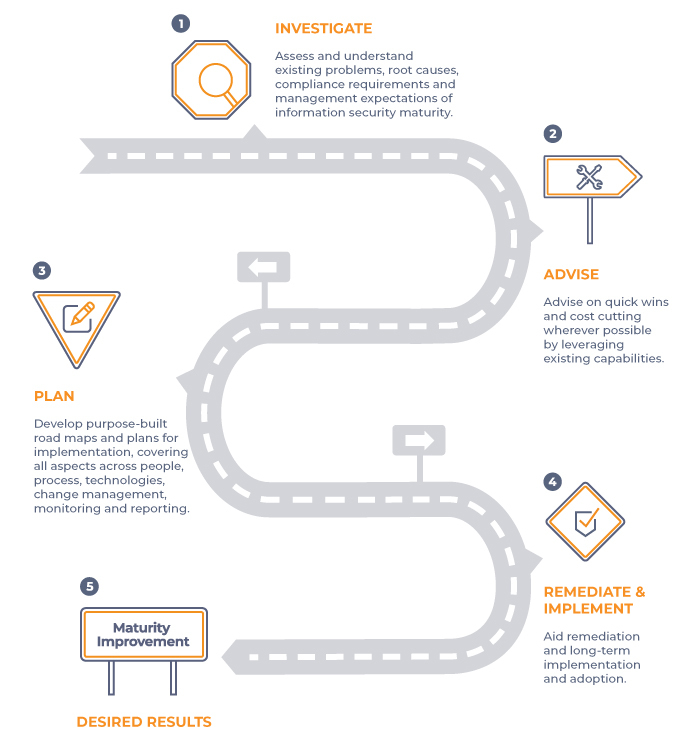 Our information security services – encompassing governance, people, process and technology – are designed to identify any and all underlying problems in your organisation. Once we’ve discovered the root cause, we develop plans and assist you with the remediation and adoption itself, always ensuring our solutions make sense for you from a business point of view. We walk away when it is working – never before.